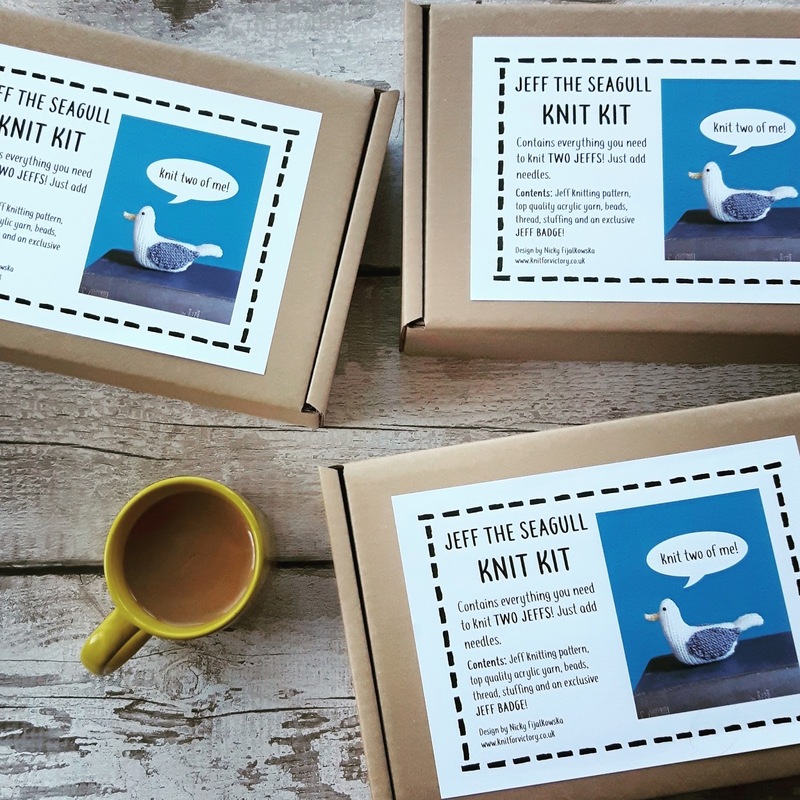 There’s lots of Jeff the Seagull knit kits going out in the post today to people who’ll be finding Jeff in their Christmas stocking this year! And because his kit is only £10 plus postage, he makes a great Secret Santa gift, too. 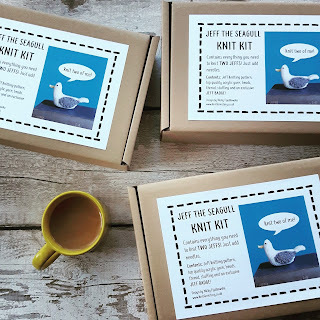 Just remember, Jeff is for life, not just for Christmas – along with all the yarn and notions you need to create a pair of gulls, you also receive a printed knitted pattern, so you can make as many Jeffs as you like, all year round!